Gilgal Christian Community will be issuing tax receipts for all of our donors. 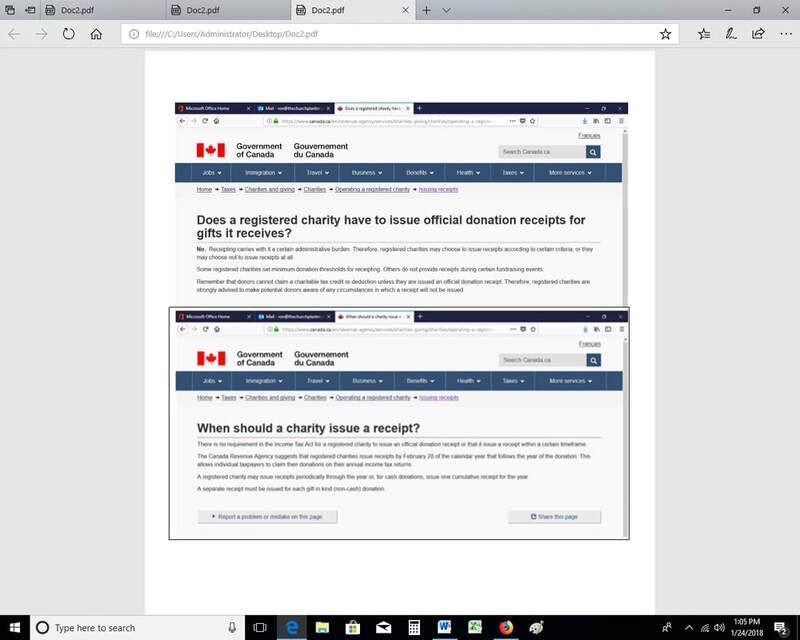 Please read the information from Revenue Canada Agency below to understand that we will not be doing continual follow up in pursuing churches to submit donor lists. Please note that we are in fact not obliged to give receipts, which means that GCC will not be held accountable by CRA if we do not give receipts. We WILL give receipts. We will just not be doing continual follow up. We also do not have to provide receipts by any specific date. This means that we do not legally have to provide the receipts by the end of February if we do not have the donor information. Please make sure that you are actively working on getting us the information as soon as you can.